Maida Vale Tube Station is on the Bakerloo Line and you can travel around London really easily from here. After just a 12-minute journey you’ll be at Oxford Circus, where you can shop ‘til you drop on Oxford Street. The Queen’s official residence, Buckingham Palace is near to St James Park Station and this is just 17 minutes away via tube. 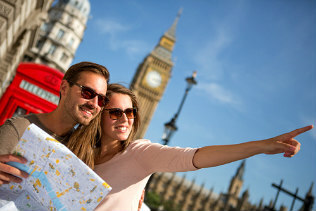 Or why not travel 18 minutes to Waterloo and visit the London Eye? This will give you stunning views across the whole of the capital and you’ll also find the fascinating London Aquarium at Waterloo. Make sure you visit the beautiful St Paul’s Cathedral. St Paul’s Station is just a 19-minute tube ride away. If you want to drive around the area, there’s an NCP car park on Lanark Road. 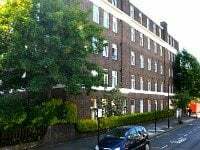 It’s really close to Maida Vale Tube Station. 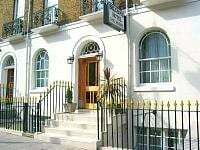 If you decide that you’d rather catch a cab during your stay in Maida Vale, you’ll find Westminster Car Service on Elgin Road, right near Maida Vale Tube Station. If you stay in Maida Vale you’ll be able to reach some of London’s top attractions on foot. Starting at Maida Vale Tube Station, you should take the 20-minute walk to Paddington Station. It’s a fantastic grade I listed building that’s been in use since 1854 and was designed by Isambard Kingdom Brunel. You can be in stunning Regent's Park (home to London Zoo) in just 30 minutes. You can get here by walking along the canal tow-path. And beautiful Hampstead is just 32 minutes away. Here you can visit the village-like shops and cafes or walk on Hampstead Heath – and be sure to look out for the celebrities who spend time here! If you fancy some peace and quiet, Kensington Gardens with the Albert Memorial and the fantastic Serpentine Art Gallery is 34 minutes away. And trendy Camden is a 36-minute walk away - here you’ll find the fantastic Camden Market.